This one is more along the lines of the whole “Vampire Politics” thing. Power struggles, vampire creation, creating new teams, and incredible potential for loss. Very ancient vampires who have heartaches and power struggles of their own decide to forge opposing alliances to exact revenge, and absorb more power from those they oppose. Bones (and Cat) rise higher in ranks, but not without battling numerous opponents (all of which have their own vendetta and reason for fighting him). Past enemies become allies, and new (and much more dangerous) enemies become the obstacle. This book continues to be funny, heartwarming, and scary all at the same time, and I am just so thankful that the “heartache part” wasn’t actually written into a cliffhanger! 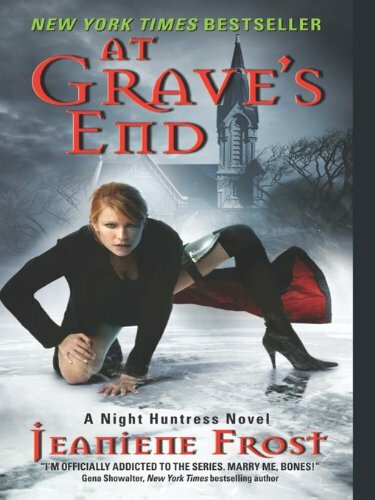 Jeaniene takes good care of us (and her vampires) in this one, and this book is well worth the constant struggles. “What, did Anne Rice not return your calls, mate?” Vlad asked scathingly.